Our mission is to improve your dogs health and well being with our professional, expert bathing, grooming and micro-chipping service at a truly affordable price. 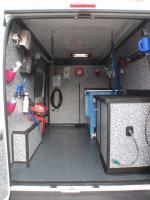 All our services take place outside your home or place of work in the back of one of our specially converted vans. No Mess, No Fuss - less stress for you and for your dog! 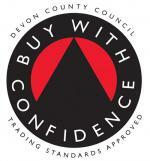 Devon’s No1 Dog Washing And Dog Grooming Service! Your Dog will be returned smelling fantastic - guaranteed!